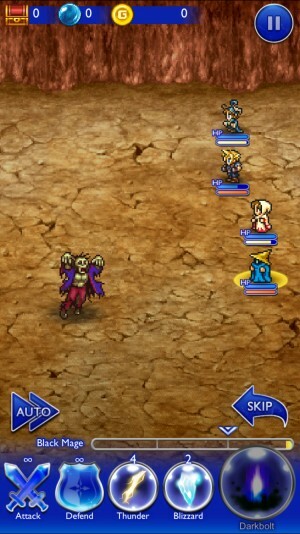 I have to admit, since the travesty that was Final Fantasy: All The Bravest (Free), I lost all hope of seeing a good mobile Final Fantasy game that would not only embrace some of the unique intricacies of the platform but do so in a way that didn’t make the whole experience feel sleazy. 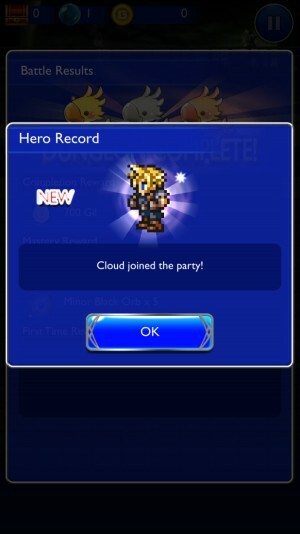 Yet, here we are with Final Fantasy: Record Keeper, a collaboration between DeNA and the folks at Square Enix and a title has single handedly restored my faith as to the potential of this franchise and genre on mobile. Before we get started, let’s get something out of the way, Final Fantasy: Record Keeper is squarely a freemium title in terms of the underlying mechanics. There’s a stamina/timer system and a premium currency system that can be replenished via IAP. What makes Record Keeper amazing, however, is the fact that DeNA uses the idea of free-to-play to truly offer that concept to players willing to put some time into the game. Stamina replenishes relatively quickly and has the potential to instantly fill as you progress through the game. Premium currency is addressed by offering a secondary premium currency that can only be earned in-game and can substitute for the IAP-laden currency (it’s also earned at a good pace in the game). Thus, players can play through Record Keeper and conceivably have the same chances to succeed as those that pay. In order to get deeper into the mechanics, a quick exploration of the game’s backdrop is in order. 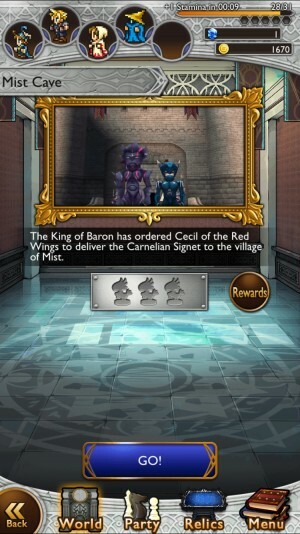 As a novice record keeper, you are in charge of preserving the history of a magical kingdom through its paintings. As an evil presence washes over the archives and threatens the very kingdom itself, you are charged with entering the paintings, reliving the history within them and preserving the records by succeeding at the challenges within those paintings. These paintings are, naturally, derived from each of the titles in the numbered Final Fantasy series. This is where the nostalgia bomb comes into play for fans of the series. Every major story arc in nearly every single Final Fantasy game is up for grabs as a dungeon within Record Keeper. Enter the Final Fantasy VI archive and you’re instantly listening to the game’s amazing soundtrack and playing scenes from the title. Music from each title is used when appropriate and sounds absolutely amazing. Enemies for each game are not only recreated faithfully, but are also appropriate for the specific story arc you are playing in. Probably one of the coolest things I saw is how Record Keeper successfully converts enemies and characters from later Final Fantasy games into the amazing sprite visuals used in this title. Simply put, everything here is an homage to the series and a love letter to its fans. It also plays very well into the overall theme of keeping a record of each game. I’m not sure how a game such as Record Keeper impacts folks that haven’t played these games before, but for me it’s an great experience. Meanwhile, gameplay takes place in the form of a simplified ATB formula that is deeper than it lets on. Heroes can take into battle a wide variety of abilities and spells in addition to normal attacks. The ATB nature of battle means players can’t simply take a long time during their turn as the enemy is constantly attacking. Enemies have their own elemental strengths and weaknesses which can be exploited to make battles easier. Players are graded at the end of each battle based on a few criteria, and how well you’re graded affects the amount of experience you earn. Battles eventually get difficult as you play, but I never found them overbearing (especially if you get smart about your abilities). Regardless, you can always replay old dungeons and grind experience and all you lose is stamina. To give an idea of how battles work, each Final Fantasy title ‘archive’ consists of dungeons which make up the individual story arcs. Each dungeon is comprised of several battles (which require stamina to enter) and each battle typically has 3-5 rounds of enemies. The final battle for each dungeon concludes with a boss battle from that story arc. Even those boss battles are accurate to the title as the intricacies and weaknesses of each boss is preserved in Record Keeper and should be exploited to succeed. In fact, players are typically graded on how well they exploit those weaknesses in a boss battle. It’s a very nice touch and adds a layer of strategy that rewards those that have already played these games and encourages various combinations of heroes. At the conclusion of each dungeon, players are graded yet again with unlockables and heroes available depending on how well you succeed. Speaking of heroes, Record Keeper offers a true plethora of heroes that span all the games of the series that are available to unlock. Unlock other titles that may have required you to unlock them via premium currency or via a randomized unlock. Heroes in Record Keeper are unlocked in a specific order based on how far you advance in the game. Heroes have their own stat progression and can equip different kinds of weapons, armor and abilities. Each also has their own Soul Breaks, which are the game’s equivalent to Limit Breaks from Final Fantasy VII. Unlocking a new hero is consistently a cool experience for me within the game and is an amazing carrot to continue playing. There’s even a glossary for unlocked heroes so players can learn about them on the side. There’s so much more in terms of depth for Record Keeper that I’m pretty impressed with what they’ve managed to do. Abilities and spells can be created and upgraded at any time so long as you have the coin and parts necessary to do so (which can be earned randomly during battles). The same goes for weapons and armor, which are randomly earned in-game or won using the game’s premium currency lottery (one of the only freemium elements that I’m not the biggest fan of). The game also bestows special stat and experience increases if you use a hero or a weapon in the game that they come from (yes, even weapons are game-accurate) which encourages rotation of games. 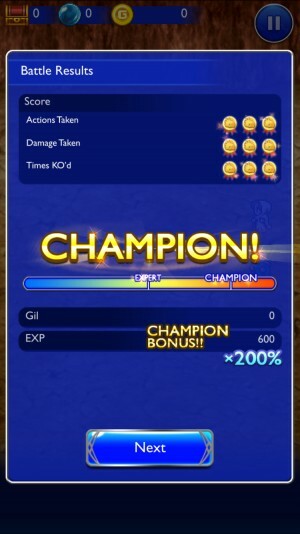 There’s just a lot that can be considered which goes a long way towards enjoying Record Keeper in the long run. Combining a respectful homage to its source material with a decent battle system and loads of unlockables, Final Fantasy: Record Keeper is the real deal in my book. It’s also a game in which the majority of its freemium systems simply exist in the background as options for players to quickly advance rather than pay walls that sooner or later need to be addressed. I implore all fans of the series to give this game a try, as it’s nearly a must-play for those folks in my opinion. Next PostNext ‘Atari Fit’ is an…Atari Fitness App, What?